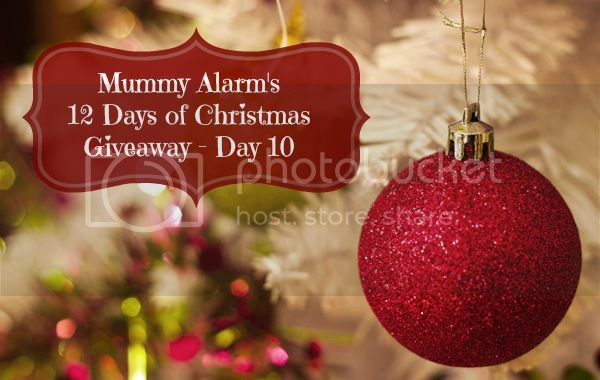 Ho ho ho and welcome to day 8 of Mummy Alarm’s 12 Days of Christmas giveaway. On top of today’s prize, you can still win the classic canvas print from PhotoBox and the book set from Barefoot Books. All prizes are available until midnight today and tomorrow, so do make sure to enter and tweet for an extra daily entry. Over the next 5 days, you will be able to win fabulous prizes for all the family and with surprises ranging from gadgets to homeware, you will be sure to find the perfect Christmas present for everyone, so make sure you come back each day and enter to win one of 12 fantastic prizes. Inside this fabulous Soap & Glory Christmas gift set, 7-in-1 gift set, you’ll find mini-sizes of Soap & Glory’s CLEAN ON ME™ Shower Gel, HEEL GENIUS™ Foot Cream, THE RIGHTEOUS BUTTER™ Body Butter, THE SCRUB OF YOUR LIFE™ Body Buffer, HAND FOOD™ Hand Cream, GLAD HAIR DAY™ Daily Shampoo and a Soap & Glory HEADBAND. Favourite Christmas treat; liqueur – I normally don’t drink much at all, but it’s traditional to drink liqueur at Christmas, such as Amarula cream or sometimes Bailey’s if I can tolerate the sweetness (Baileys Biscotti may be the liqueur of choice this year, very nice). Cheese Footballs, reminds me of my childhood. Baileys, I only drink it at christmas! My favourite treat is Christmas Dinner itself! Oh! Pate! I love Pate! And Shloer! God I love it all! My favourite Christmas treat is PEACE, Relaxation and taking things easy. I love when Christmas Day is at a relaxed pace, people open presents :- Thank others for gifts, thoughts, Best Wishes etc. The ‘Season of Goodwill’. As for treat (gift/s or presents). I love chocolate, a chocoholic. Also I like nice smelly things like perfume, shower gel, toiletries etc. gluwein…is that how you spell it?! My favourite Christmas treat is a glass of Baileys served over crushed ice. Love the Soap&Glory products, just bought a set today for my mum for the Christmas parcel to Germany. Stollen cake with lots of cream. Mince pies and lots of them!